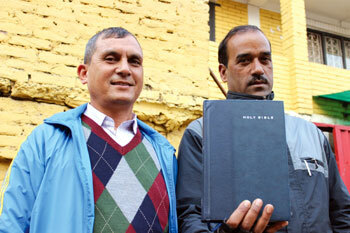 THE WORD OF GOD: Pastor Indra Basnet (left) and Prakash Basnet both retired from the Army and converted to Christianity. Prakash went on to join the Maoists and convinced many guerrillas to believe in the gospel and the path of peace. Prakash Basnet joined the Royal Nepal Army in 1988 during the days of the monarchy. But by 2001, the national army was drawn into the conflict against Maoist guerrillas, and Basnet worked in the military’s intelligence unit. Till he left the army in 2004, Prakash saw his fair share of carnage. This was the period when the violence escalated with widespread human rights violations, torture, summary executions, and disappearances. During the war, many Maoist prisoners would be brought in for questioning at army bases. Prakash remembers caring for them. He would also preach to them and often make friends with them, keeping in touch with those who survived even after the conflict ended eight years ago. Between 2001-2004 Prakash’s orders were to work undercover to infiltrate Maoist units and to bring the information to the Army. 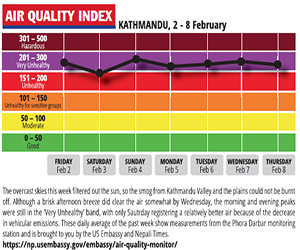 However, by this time Basnet had become a Christian and he was appalled by the violence he saw all around him. So instead of gathering information, he would try to preach non-violence and spread the word of God among the Maoist guerrillas he had infiltrated. “As a Christian, I felt it was my duty to set an example to people about peace, and about the future,” Prakash said in an interview in Nepalganj last week. He managed to convert about 15 Maoists and put the faith of Jesus Christ in them, even while the war was still going on. 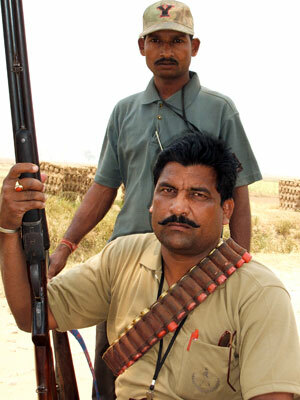 In 2004, Prakash retired from the Army and joined the Maoists and his triple life did present problems. He was an ex-soldier who was now in the guerrilla army, but he was also a Christian who firmly believed in the commandment, ‘thou shalt not kill’. “The Maoists would sometimes ambush soldiers, and I had the chance to kill, too, but I never did,” Prakash recalls. He tried to talk his fellow-guerrillas out of killing as well. “I told them, killing would never fix the problem and would never bring unity among Nepalis,” he said. Today, the fellowship has a membership of 500 retired and serving security personnel from across Nepal. Indra recalls that during the conflict there were Maoists so fired up with the love of Jesus that they were going to the guerrilla camps to preach the Gospel. Four years ago, Pastor Indra held a ‘forgiveness conference’ which Prakash Basnet also attended with fellow-Maoists. “They came to forgive and ask for forgiveness on behalf of the Maoists, and I did the same on the Army’s behalf,” Indra recalls. Soon after, nearly 1,500 ex-guerrillas were integrated into the national army. Pastor Indra says this didn’t just happen due to political accommodation, but also because of divine intervention. “God answered our prayers with the integration,” Indra says. Both men look back at the horror of war and agree that Nepalis should never have to go through such violence and brutality again. Their only concern is that although the people are at peace, the leaders are still threatening to go back to war. He used to wear an ammunition belt around his neck, now he wears a sacred thread. He used to carry a shotgun, now he carries a trident. He used to be a vigilante, now he is a holy man. 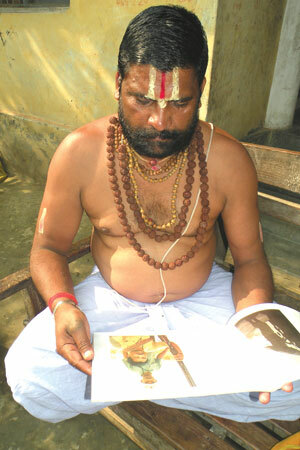 During the conflict, Murari Kusuwaha (pic) used to have a nom de guerre of ‘Pahalman’, now he calls himself Sadhu Omkar Das. Instead of training villagers to be vigilantes, he now performs fire ceremonies for peace. Kusuwaha was the leader of a vigilante group that the Royal Nepal Army set up in border districts like Nawalparasi, paying and training locals to hunt down Maoist guerrillas. Vigilantes committed gross human rights violations, killing many innocent people and pillaging villages. Kusuwaha himself says he killed “many” Maoists. Kusuwaha needs a lot of prodding to recall his past. After his father and five relatives were killed by a gang from India, Murari armed himself to take revenge. He eventually tracked down and killed his father’s killers. He initially joined the Maoists, but was soon put off by their extortion of poor farmers from his village. His band of armed men then started chasing Maoists and were recruited by the Army to operate in Kapilbastu, Rupandehi and Nawalparasi. Kusuwaha was on the Maoist hit list, and the guerrillas tried to kill him many times. In 2005, they massacred 12 farmers in Bargadahawa of Nawalparasi, where they thought Kusuwaha’s group was having a meeting. Today, Kusuwaha has even converted his former bodyguard, Om Prakash Gupta, to renounce violence. Both are now vegetarians, and spend hours everyday in meditation and prayer. The walls of Kusuwaha’s house are festooned with images of Hindu deities. Kusuwaha is building a temple in his village of Paklihawa near the Indian border and says he wants his former adversaries, the Maoists, to also follow the path of spiritual enlightenment.